With Mixy - fashion's a snap!Suitable for ages 5+, Mixy is a brilliant fashion design range for younger children. 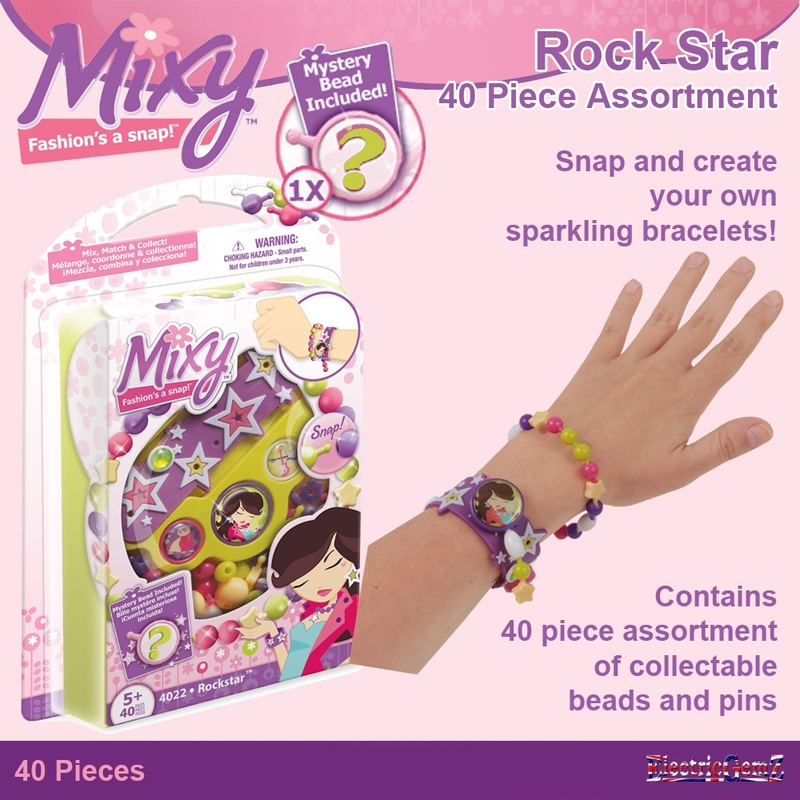 With this system you can snap, unsnap and snap again to create your own fashion jewellery and accessories with possibilities only limited by your imagination.The Mixy Rock Star 40 Piece Assortment contains a selection of 40 different, rock star-related pieces, which all snap together - including a special Mystery Bead. Lots of other playsets and accessory packs are available too, making the Mixy system a creative interest that will last and last. With Mixy - fashion's a snap! 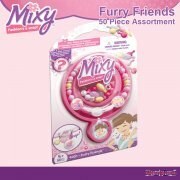 Suitable for ages 5+, Mixy is a brilliant fashion design range for younger children. With this system you can snap, unsnap and snap again to create your own fashion jewellery and accessories with possibilities only limited by your imagination. 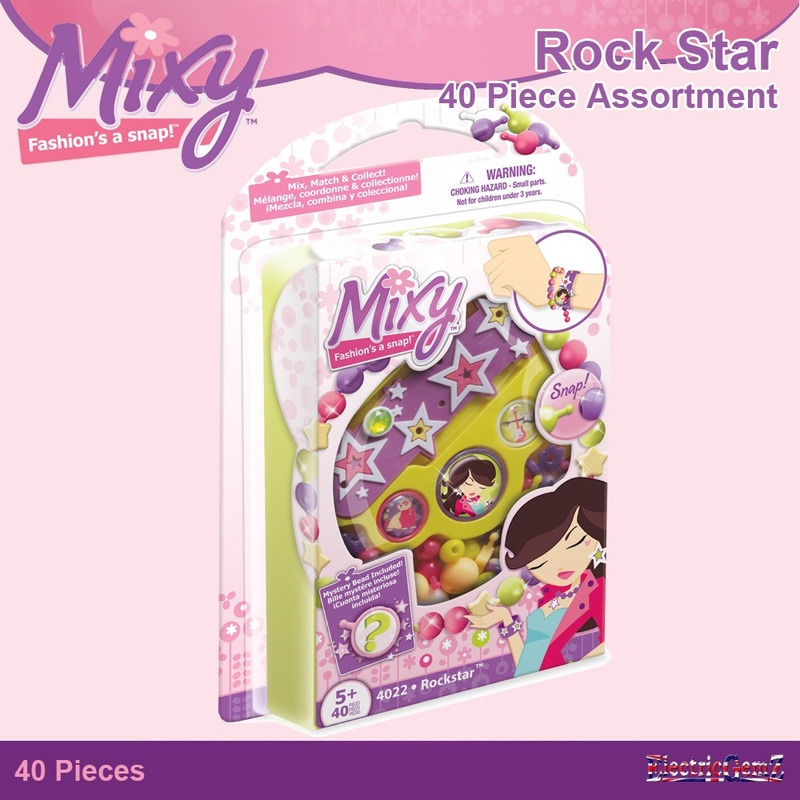 The Mixy Rock Star 40 Piece Assortment contains a selection of 40 different, rock star-related pieces, which all snap together - including a special Mystery Bead. Lots of other playsets and accessory packs are available too, making the Mixy system a creative interest that will last and last. The gift pack measures 23cm x 15cm.